With over four decades in the electronics industry, Mitch Little has led global engineering, marketing and sales teams both small and large, startup and mature. He has been a part of Microchip Technology since 1989 and now leads the worldwide sales and applications team of the $10+ Billion market cap company, the only non-commissioned sales team in the industry. In the fall of 2015 Microchip will post its 100th consecutive quarter of profitability, a record unmatched by any other company in the industry. Mitch started as an engineer repairing audio electronic systems across the US then went on to help design and build micro-controller based systems for the restaurant industry. That was more than three decades ago and each one of those next ten year blocks he confronted all new challenges, sources of information and major changes in the industry. Mitch has always been driven to create value and focused on continuous improvement that embraces a blend of methodologies to be employed as a situation demands. Mitch has a Bachelor's of Science - Electronic Technology degree. 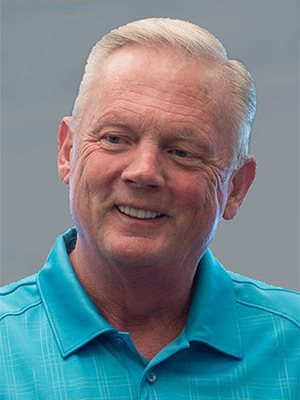 Since joining Microchip Technology in 1989 he has held several Vice President positions in product line and sales leadership and is a Section 16 Officer of the company. He has been VP Worldwide Sales and Application Engineering since July 2000, leading the only non-commissioned sales team in the industry. In 2006 he won the Worldwide V.P. of the Year Sales Award from Selling Power Magazine. For three years in a row Microchip Technology has been recognized as one of the TOP 50 companies to sell for by Selling Power magazine. Mitch is a member of the CEB Sales Advisory Board, a select group of Chief Sales Officers representing leading companies including Kaiser Permanente, Disney, and Fidelity Investments. He is also a Certified Master Coach with the Behavioral Coaching Institute, a member of the Executive Advisory Board for Model N, and a past Vice President of the Board of Directors of the Upward Foundation. Currently Mitch is co-writing a book on the insights of selling and what is essential for continued success in a sales environment that is ever changing. Mitch blogs regularly on his website, mitchlittle.com.